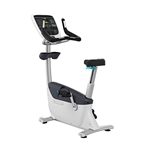 As expected with the reputation Precor has built, Precor Exercise Bikes are amongt the most durable, longest lasting, comfortable ergonomic exercise bikes made. They are all over Health Clubs, Gym Facilities, Hotels, and Homes. 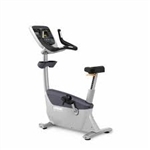 They utilize a double step up drive system, and magnetic resistance, to ensure they last long, and the resistance and motion is always in top shape. 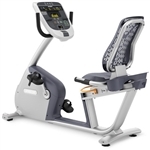 Precor makes two type of exercise bikes: the upright, and recumbent bikes. All of which are self-powered.